The Cathedral of Saint Sava(serbian: Храм светог Саве or Hram svetog Save) in Belgrade is one of the largest Ortodox church in the world. 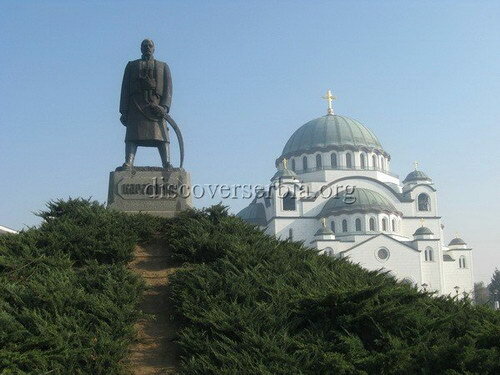 It is bulid on the location where Turkish Grand vizier Sinan-Pasha burned in 1595 relics of the greatest Serbian saint, Sava, in order to break the morale of Serbian rebels and punish the Serb people. Construction of the building began again in 1985. As of 2009 the church is mostly complete. However, internal decoration have still largely unfinished.